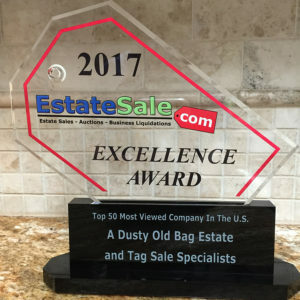 Our reputation for honesty, integrity, flexibility, and creative problem solving is well known, as is our ability to work closely with other professionals you may retain such as senior referral agencies, attorneys, real estate agents, and estate stagers. 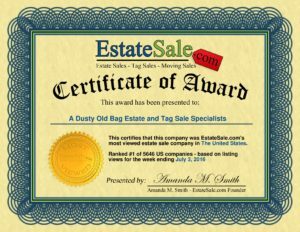 Our policy is to show kindness, caring, and compassion for the families, along with respect for the property involved, and to make the liquidation of personal property as easy as possible for executors, conservators, and family members. 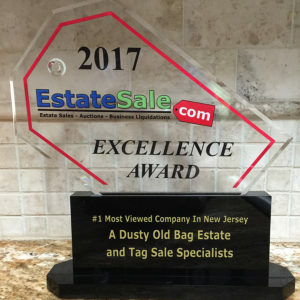 A family-owned business, A Dusty Old Bag is privileged to serve your unique needs with the sensitivity and discernment expected from New Jersey’s recognized estate sale specialists. Lin is heaven sent. This lovely woman provided guidance, encouragement, and information that was above and beyond her professional requirements. 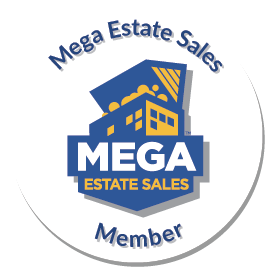 She spoke with me on several occasions prior to the sale to provide helpful tips, ensure a smooth flow of preparation for the sale, and give me peace of mind. Planning an absentee out-of-state sale was ominous. When kinks arose, Lin was gracious and accommodating. Her compassion and immediate responses were genuinely kind. This type of service is rare. 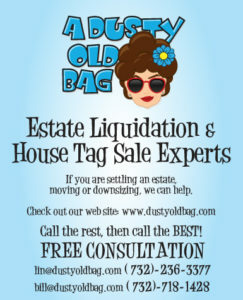 I highly recommend A Dusty Old Bag.